The original sunset strip gem. One of the most treasured venues on Ibiza, Café del Mar opened its doors for the first time in 1980, in the process becoming a pioneer in bringing together music, sensational sunsets and fun. Together with beautiful views over the Mediterranean, the original sunset bar began by serving tempting cocktails to ever-growing crowds with a majestic backdrop. Over 30 years later and it's still revered as a bustling pinnacle of the sunset strip. In recent years, Café del Mar has been joined by various other sunset bars, lounges and restaurants; Mambo, Savannah, Kanya and Mint to name a few. But in spite of this, Café del Mar retains its position among devoted Ibiza revellers as the original and best sunset bar. And that's because at its core is a simple idea: sit by the shores of Caló des Moro in San Antonio, admire the stunning sunsets and embrace the ambient and eclectic soundtrack provided by the DJ in the bar. Café del Mar is now hugely famous around the world for its chill-out compilation albums which have been released annually since 1994, pioneering the chill-out genre at the time of the first release. 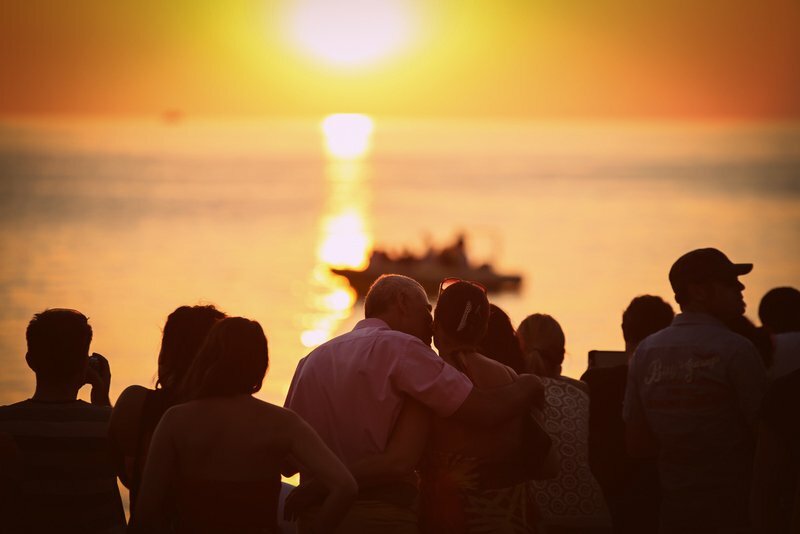 Café del Mar is an Ibiza rite of passage; a quintessential experience for Ibiza virgins and veterans alike.